According to the Center for Disease Control and Prevention (CDC), one out of every five falls results in a serious injury, such as a bone fracture or head injury. 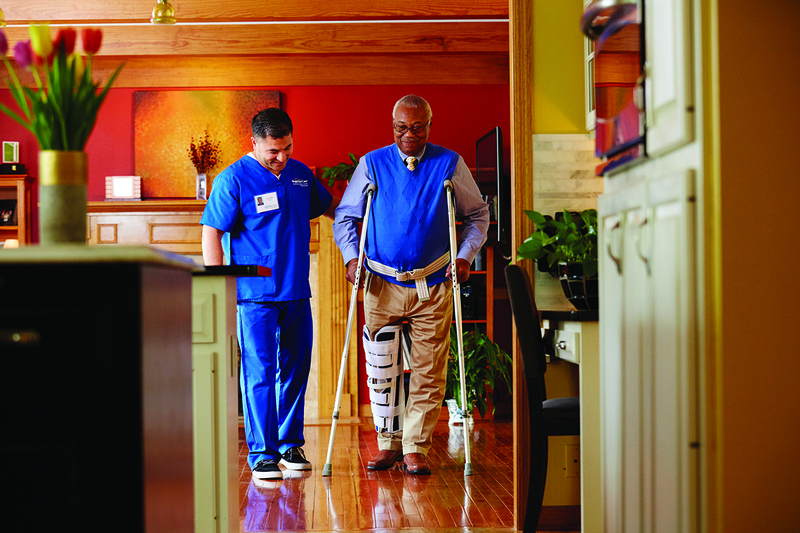 We’re all susceptible to falls, but older Charleston senior adults in particular need to take special care. This is because as we age, mobility, strength, and sensory faculties can change. Help your parent or grandparent stay safe at home with the fall prevention tips below. You’ll be just in time for Fall Prevention Awareness Week, which coincides with the first week of fall (September 22-28). Clear pathways of electrical cords, furniture, and other clutter. Put regularly used items within easy reach, i.e. at waist or counter level. Put night lights in bathrooms and on stairs. Secure floor coverings with non-slip pads. Install hand rails, grab bars, and tub mats in the bathroom. For even more ideas to fall-proof your home, read our blog post for National Safety Month. Make regular appointments to check hearing and vision and wear comfortable hearing aids and eyeglasses with an adequate prescription. Properly take medications (for tips, read our Medication Management blog post). Exercise safely and moderately—mobilizing joints increases overall body function, lessening the risk of falls. Eat a healthy, balanced diet and drink plenty of water, especially in the summer when seniors are at risk for heat-related illness. BrightStar Home Care of Charleston proudly provides support for the elderly and children, including 24 hour skilled nursing and support in senior independent and assisted living communities. Additionally we provide Medical Staffing and In-Home Physical Therapy for pediatric, adult and geriatric patients, Companion and Personal Care for Elders with Alzheimer’s or Dementia. We also provide Home Child Care, Sitter and Nanny services for Children and Support for New Mothers. We Support Veterans and Accept most Long Term Care Insurance benefits, provide Hospice care, Live-in care, CNA, Caregiver, RN, LVN, RN Supervision, Compassionate Care, and Compatibility Guarantees. Other services include safe discharge and transportation from the hospital or rehab facility, Post Op care both short and long term, Pre Operation and preparation help and assistance, and client monitoring for out of town family members. Our service area includes Charleston, Mount Pleasant, Isle of Palms, Hanahan, Sullivan's Island, and Charleston County.